Jahromi, B., Soltani, M., Masdari, M. (2633). Effect of Wing Sweep Angle on the Vortex Interaction of a Tail-Wing Configuration. 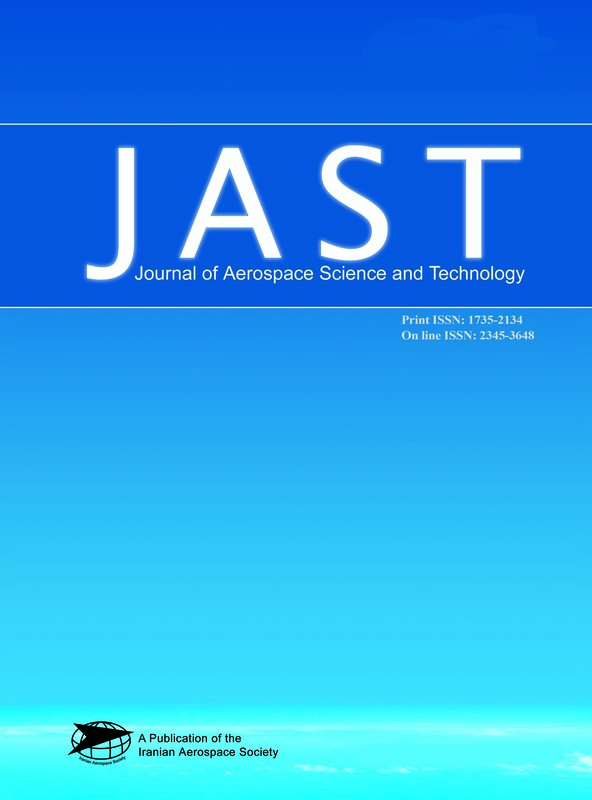 Journal of Aerospace Science and Technology, 9(1), -. Bahman Jahromi; M.R. Soltani; M. Masdari. "Effect of Wing Sweep Angle on the Vortex Interaction of a Tail-Wing Configuration". Journal of Aerospace Science and Technology, 9, 1, 2633, -. Jahromi, B., Soltani, M., Masdari, M. (2633). 'Effect of Wing Sweep Angle on the Vortex Interaction of a Tail-Wing Configuration', Journal of Aerospace Science and Technology, 9(1), pp. -. Jahromi, B., Soltani, M., Masdari, M. Effect of Wing Sweep Angle on the Vortex Interaction of a Tail-Wing Configuration. Journal of Aerospace Science and Technology, 2633; 9(1): -. The goal of this investigation is to study the effect of wing sweep angle on the horizontal wing-body- tail configurations in subsonic flow. For this purpose, a series of wind tunnel tests were conducted on a model having a moveable horizontal tail and a wing planform with different sweep angles. Tests were performed at different tail deflection angles. Static surface pressure distribution over the suction side of wing was measured for both static and dynamic changes of the tail angles of attack. The strength of the vortices over different wings was compared and the effect of tail deflection on the wing flow field was investigated. It is seen that the wing sweep angle is a dominant factor for the strength of the vortices over the wing and hence the maneuverability of the vehicle.